Set Up iPhone 8 for The First Time - Unboxing and assembling your new iPhone 8 or iPhone 8 plus, turn it on and set up for the first time by read our guide and instruction with tutorial tips and tricks from beginner's to master to optimize and get the best settings your iPhone 8. Let get started to use iPhone 8, but set up first. To insert the nano-SIM, you need to first find the SIM removal tool. Remove the handset from the box, and then lift the phone tray out along with the pack of documents. Open the pack and attached to the inside is a small metal ring with a spike on. This is the SIM removal tool and is used to eject the SIM card tray. Find the SIM card tray, halfway down the right hand side of the iPhone 8 a small pin hole. Push the SIM removal tool into this hole and a small tray will pop out. Put your nano-SIM card into this tray, making sure that it is orientated correctly, and with the gold contacts facing down. You may need to speak to your mobile network to get a PAC code to transfer an existing number over on to this new nano-SIM card. Slide it back into the iPhone to complete the process. To begin the setup iPhone 8, make sure you have inserted the SIM card into the phone. You do not need to connect your new iPhone to your computer, as long as you have an internet connection available for activation. How to tun on iPhone 8? How to set up iPhone 8? You will need to connect your iPhone 8 to the internet to activate it. This is easily achieved by connecting to a Wi-Fi network. Find the name of your network in the list, and tap on it to select it. Enter the wireless password (this may be shown on your router, and might be called the WPA key, WEP key, or wireless passphrase) and tap Join. 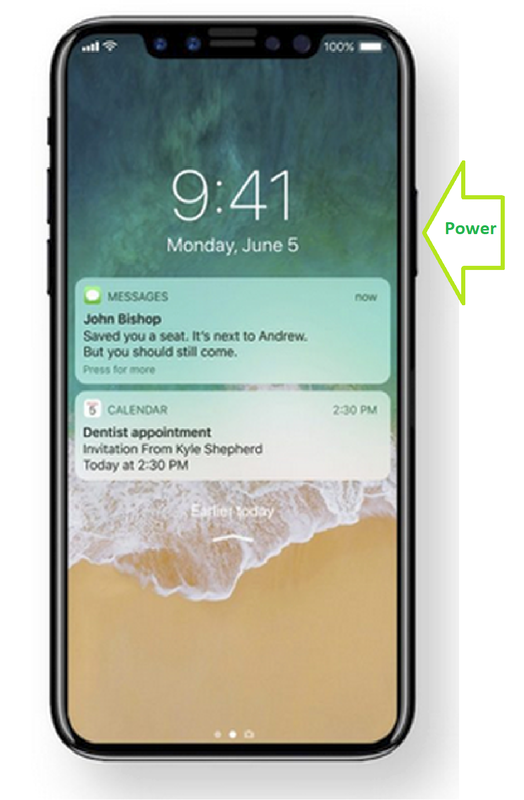 The iPhone will show that you are connected, and a Wi-Fi symbol appears on the notifications bar at the top of the screen. 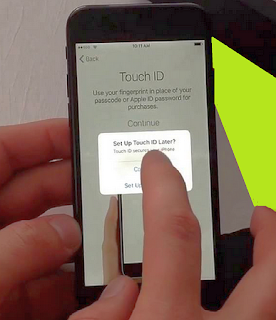 The iPhone will now activate with Apple automatically, and when that has completed the next screen will appear. This can take several minutes! You will then be asked about setting up a Passcode to secure your iPhone 8. If you've set up Touch ID you will have to use a Passcode, in case you are unable to use your fingerprint to unlock your handset for any reason. Securing your data is always a good idea, and the iPhone 8 gives you several options. Tap Passcode options to choose your lock method. At this point in the setup iPhone 8 you will be asked about Apps & Data. If you have been using an iPhone and are upgrading to the iPhone 8, you can restore all of your Apps & Data quickly and easily from an iCloud or iTunes backup by selecting that option on the phone. Get free iPhone 8 User Guide PDF and iPhone 8 Plus Manual PDF the complete guide in pdf file. If this is your first iPhone you will want to set it up as new, but if you are moving from Android to iPhone you can transfer much of your data by selecting that option on screen. Stay update to the next post, keep with us iPhoneusermanual.com.